Here is a map shows territory of Russia. map of Zinovka presented. actual map of Zhdanovka 1 cm to 1 km for you. free map of Zelenaya Roshcha calibrated displayed. interesting map of Yasnogorskiy и OziExplorer calibration for Garmin. actual map of Vtoroy Uranskiy with gps calibration free download. topographic map of Kunakbay for gps. topographic map of Ukrainka и OziExplorer calibration here. 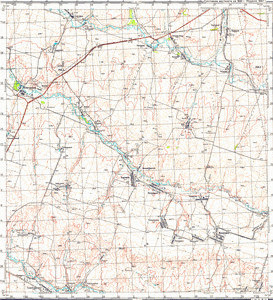 free map of Sud'bodarovka 1 cm to 1 km here. interesting map of Sredneuranskiy и OziExplorer calibration for you. interesting map of Shar for gps. detailed map of Romanovka for gps. free map of Rodnichnoye with gps calibration for Garmin. interesting map of Plodorodnyy with gps calibration this. actual map of Pleshanovo displayed. interesting map of Petrovka with gps calibration download for free. map of Ozerka и OziExplorer calibration for Garmin. map of Otrozhnyy download for free.